Keep your family in your orbit. 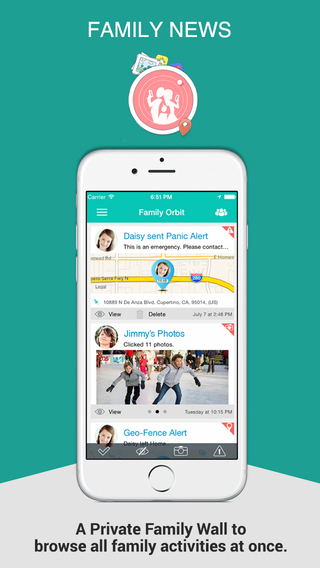 Family Orbit is an app to locate your family, monitor your kids, and share contents with your family members. It is like a private social network for families where you can stay connected with your loved ones 24/7, know where they are, share photos, and connect to them immediately when emergencies arise. 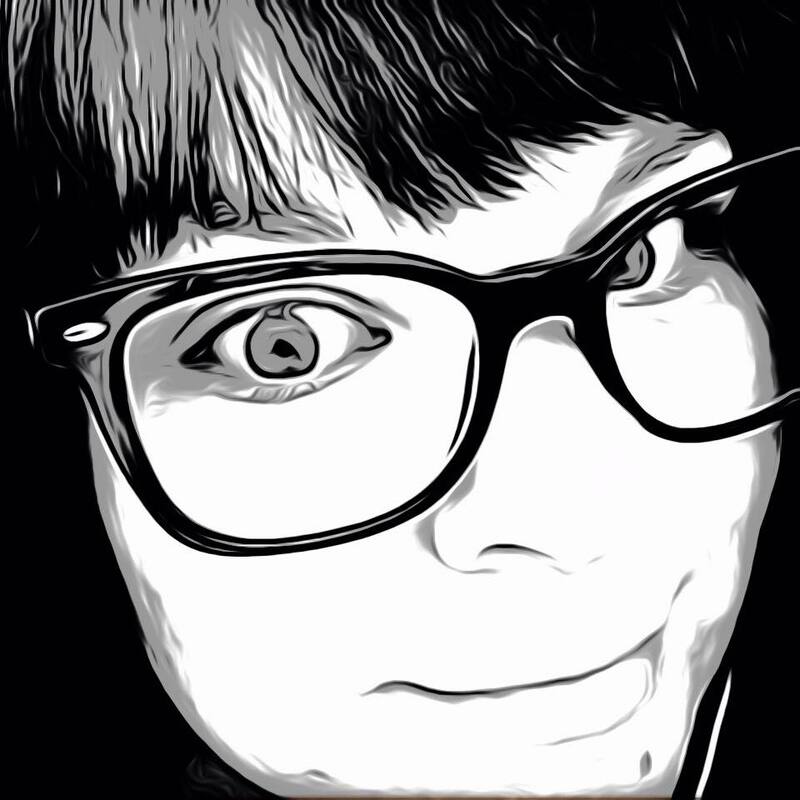 – Full privacy controls for adult members. They can turn sharing on and off at any time they wish. Child accounts are supervised by their parents. 5. Children can check which guardian is near and request for them to pick them up. Cross Platform Support – Works equally well if your family members or kids are using a non-iOS device. Note:- Continued use of GPS running in the background can dramatically decrease battery life. Family Orbit turns GPS on and off with an intelligent algorithm to save battery life and still give as accurate location as possible. Family Orbit starts you off by registering your email address. Finish filling out your profile with first and last name and an optional phone number. Add your family members manually or by giving access to your contacts. If they don’t already have the app you can send an invite that will deliver to their email address. 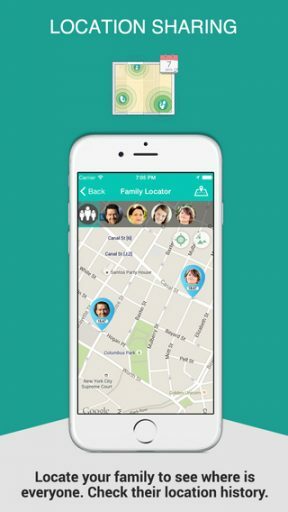 Once everyone is connected, users can check-in to locations and share snaps on the family camera. There is even a panic button that will send push notifications, sms textss and emails to all family members with your current location. This area also has a 911 button accessible. Parent members are able to go invisible if they’d like, but child members do not have this option. I really like all of the features Family Orbit has included in this app. It is private since it’s invite only, but allows certain permissions to specified members which creates more control for parents. 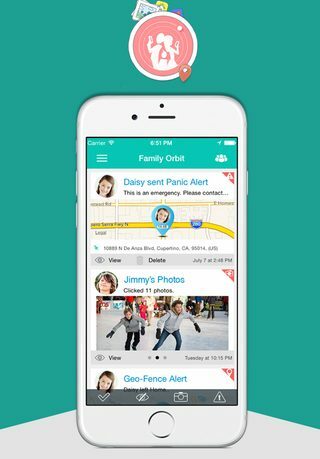 Great features such as the battery and wifi status and geo-fence, an area you can set and be notified if your child leaves or arrives, really sets Family Orbit apart from other monitoring apps. A parent can even be notified if their child is traveling over the speed limit. For a free, non ad-supported app, Family Orbit has a lot to offer. Want a bit more? For the small price of a $4.99 subscription fee, you can add location history, monitor photos and address book, link up to 10 family members and 5 GB of storage for photos included as well. Considering the costs some cell service providers charge per month just for location tracking, this seems very reasonable and has a lot more features included. Piece of mind is everything and the Family Orbit app does its best to keep everyone’s mind at ease. Family Orbit is available now in the App Store for free.